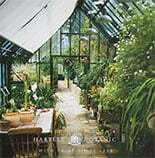 Home / Help and Support / FAQs / Can you give any advice on the best way to clean the roller blinds in our greenhouse? Can you give any advice on the best way to clean the roller blinds in our greenhouse? To clean the roller blinds in your greenhouse use warm soapy water and a sponge, nothing abrasive.